Home » Crafting » Best Interchangeable Knitting Needles – For Easier Knitting! 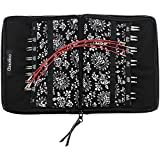 Best Interchangeable Knitting Needles – For Easier Knitting! Do you love to knit? 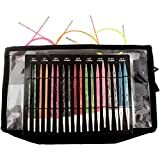 Having the best interchangeable knitting needles makes it much easier to enjoy your crafting! You can wokr on multiple projects at once without having to head to the yarn or crafting store, so you get to spend more time doing what you love!